2N is extending its range of access control units with the next generation of products called the 2N Access Unit 2.0. The three new models are fitted with a multi-frequency RFID card reader, either separately or in combination with a keypad to enter a PIN code or a Bluetooth reader for access using a smartphone. 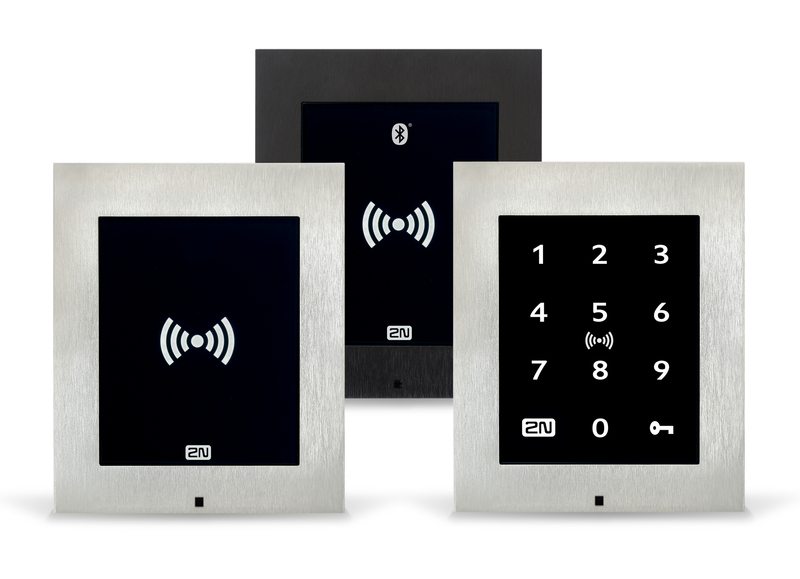 2N, the largest global manufacturer of IP intercoms, is introducing three new access control units today: the 2N® Access Unit 2.0 RFID enables the simultaneous use of older 125 kHz RFID cards and newer, secure 13.56 MHz cards. The 2N® Access Unit 2.0 Touch Keypad & RFID adds the option of two-factor authentication in addition to the RFID reader using a keypad and the 2N® Access Unit 2.0 Bluetooth & RFID offers a combination of RFID and Bluetooth reader, which allows people arriving at the building to identify themselves using the 2N® Mobile Key application in their mobile phone. All the access control units are network terminals with their own memory, are easy to install using a single ethernet cable and can be configured and administered remotely. 2N Access Unit 2.0 readers also have the same design as 2N® IP Verso, 2N® LTE Verso and 2N® IP Solo IP intercoms, so they offer an elegant combination both for installation in residential buildings and commercial premises. The foundation of all three new access control units is a multi-frequency RFID reader, which can read both older 125 kHz cards and also newer, secured 13.56 MHz chip cards. The building operator or manager can thus gradually transition to newer and more secure RFID technology without having to replace all the old cards from one day to the next, which is usually a very expensive operation. 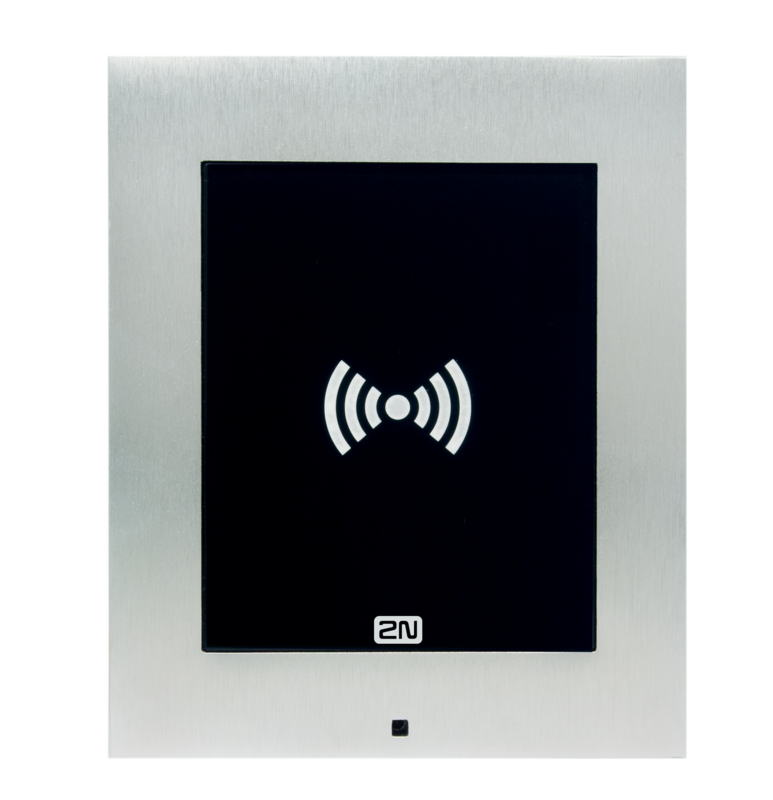 This RFID reader is available separately in the 2N® Access Unit 2.0 RFID model. 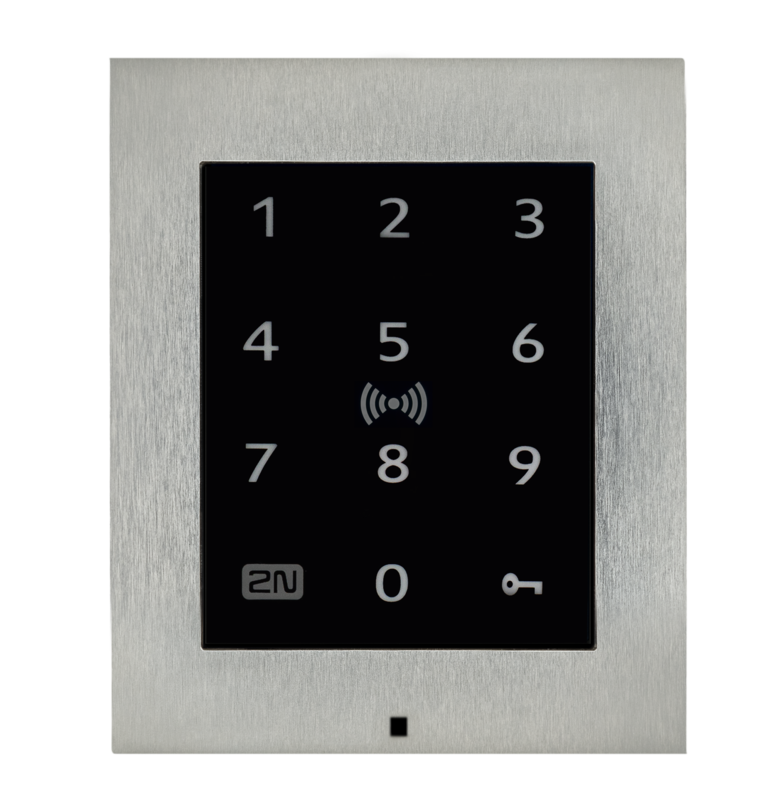 The 2N® Access Unit 2.0 Touch Keypad & RFID combined unit is ideal for high-security zones such as banks, laboratories or warehouses. It allows two-factor authentication of the user using the RFID reader and a keypad. To open the door, each user has to swipe their RFID card and subsequently enter their PIN code. Of course, the reader can also be set to require only one of the above methods of authentication for access to the protected zone. 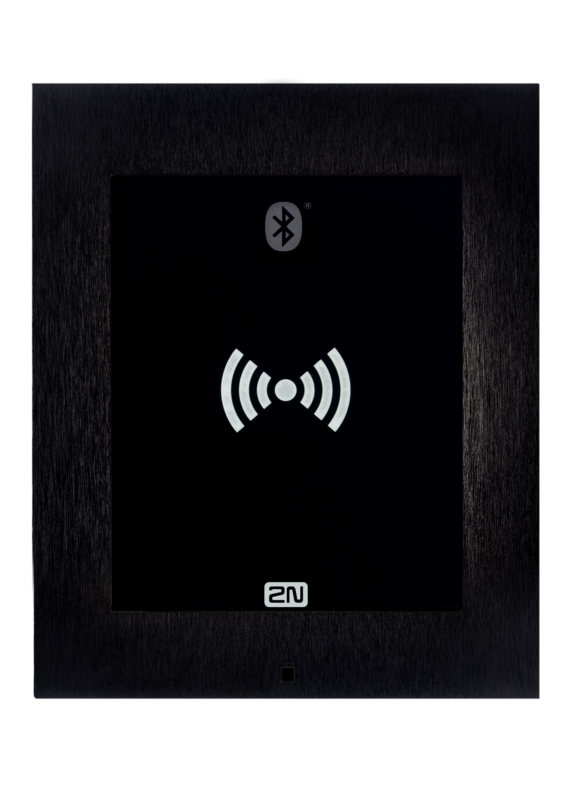 The latest trend is represented by the 2N® Access Unit 2.0 Bluetooth & RFID unit which, apart from traditional RFID, offers convenient and modern access with the aid of a mobile phone. This will be particularly appreciated by people living in residential buildings when entering the building or communal areas such as the door to the garden, the garage or the pram storage room. All the user needs is to download the 2N® Mobile Key application, which fully replaces an RFID chip. The application is free of charge and saves costs on RFID cards, which users frequently lose or break. The scanning distance between the phone and unit can be set, as can the opening mode. Bluetooth v4 (BLE) technology and encrypted communication between the phone and the reader prevent the misuse of identification details. Other users can then continue to use conventional RFID cards with this combined unit. All the new access control units can be easily set up directly via their web interface or remotely using the 2N® Remote Configuration cloud service. This means that administrators and building managers no longer need to worry about setting up routers and firewalls. In the case of larger installations, readers can be configured in bulk and administered using 2N® Access Commander software. This is professional software for access control systems with a clearly designed graphic interface and intuitive control. The software can be used to not only manage access to the building but also to monitor the status of access control units in real time. This software includes a basic attendance system and among other things, the 2N Access Unit 2.0 can be used as an attendance terminal recording the arrival and departure of all employees. “The three new 2N Access Unit 2.0 access control units meet the requirements of modern administrative and residential buildings, where older access technology meets the new and different levels of security are required. The option of using different generations of RFID cards at the same time as a smartphone or touchpad saves operators costs and offers a future proof solution,” says Tomáš Vystavěl, Director of the Product Division at 2N Telekomunikace. All the new access control units are available in a stylish black or metal version. Thanks to IK08 protection, they are resistant to vandals and hackers.